I try my best to keep all learning activities in my classroom hands-on and engaging. Little kids have plenty of worksheets to look forward to in elementary school, so I try to come up with other ways to learn uppercase and lowercase letters. It may take a little more time, but my pre-k kids appreciate lots of new activities and themes! 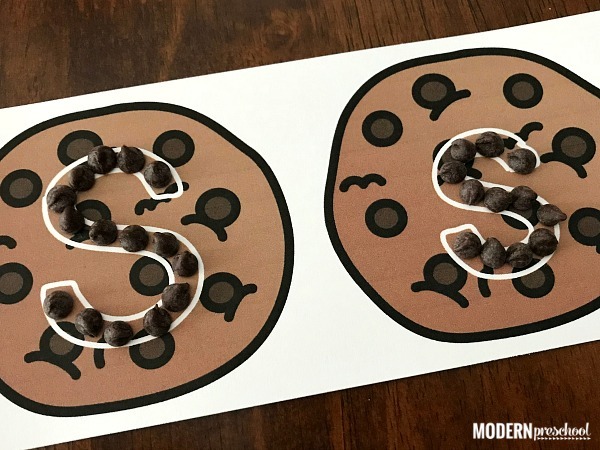 Our cookie alphabet pre-writing cards are the perfect addition to a Laura Numeroff author study, a baking theme, or even the letter C. Practice letter recognition, letter formation, and strengthen fine motor skills with this free printable activity! This free printable set of cookie alphabet pre-writing cards includes 26 uppercase and lowercase letter cookies. Print the set from the pink button below. I prefer to print everything on cardstock that I used with my preschool kids. I still laminate our printable activities. Depending on how you decide to use these alphabet pre-writing cards, you may want to laminate your set too! After cutting the cookie cards apart, gather supplies needed to build the letters. In my classroom, we use food to play and learn. I realize some schools do not allow this, and some classrooms just cannot because of possible allergies. 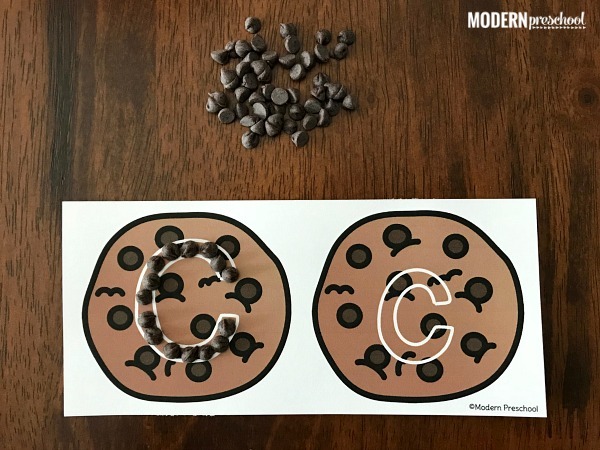 Chocolate chips would be my go-to way to build the uppercase and lowercase letters on the cookie cards. Fine motor skills are strengthened and chocolate chips are just motivating! Dried black beans would be another great option. If you are looking for a quick, no mess approach to this activity, use dry erase markers. 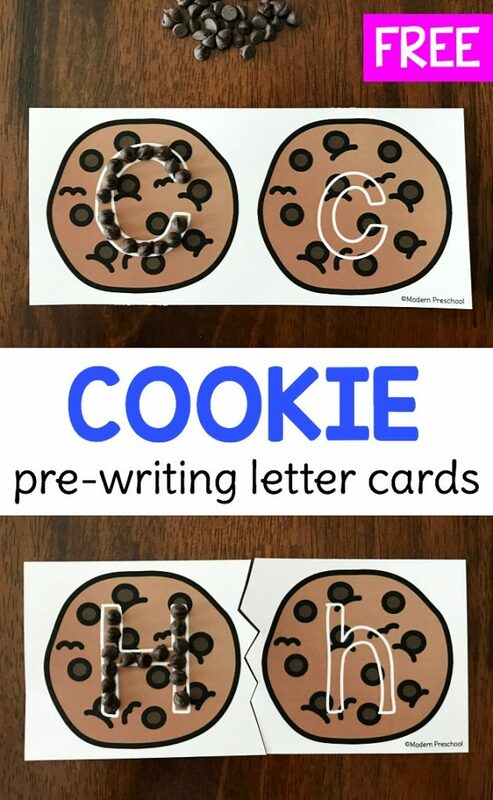 Instead of building the letters on the cookie cards, practice tracing the letters. Because the letters on the cookies have a bubble font, using more than one color of dry erase marker turns the activity into rainbow writing. What if your learners are not ready for both uppercase and lowercase letters? No problem! 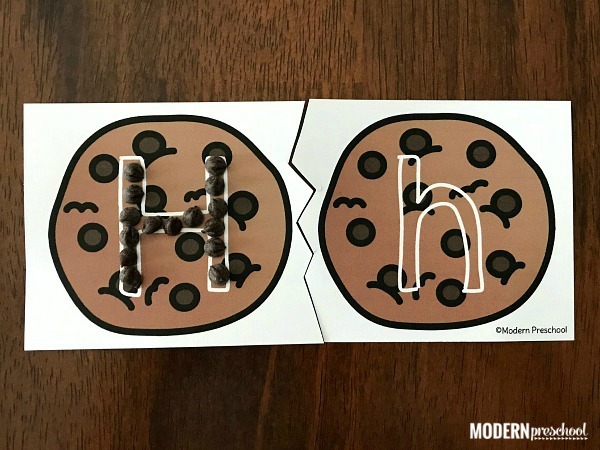 Simply cut the cookie alphabet pre-writing cards in half to separate them. Cut them in a zig-zag or curved line to create instant letter puzzles. Now you can differentiate and let the activity grow with your learners. No matter how you choose to play, many literacy skills are practiced and put to use. 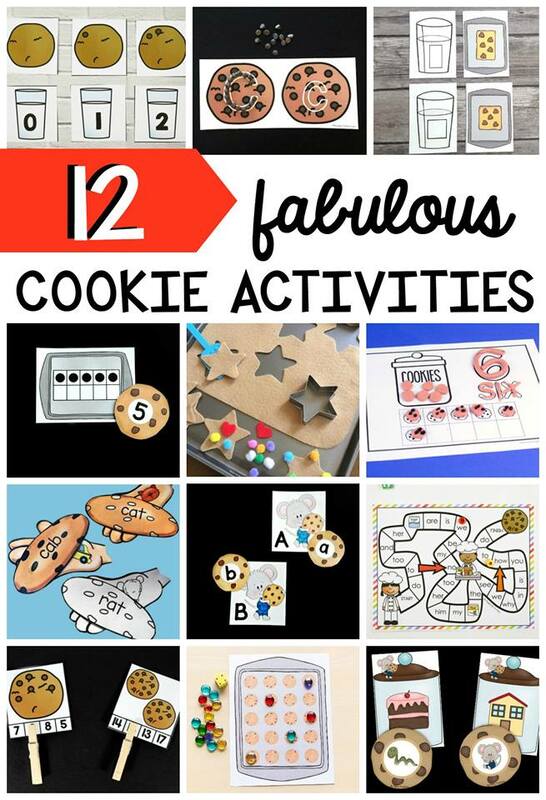 If you find that your learners love learning with cookies, you have to check out these must-try activities! Check out these other activities from some of my creative blogger friends! Now it’s time to grab your own set of our cookie alphabet pre-writing cards! Hi there! When I signed up to receive the free cookie cards I keep getting teddy bear cards. How do I access the letter cookie cards? Thanks so much!